Fine Mediterranean Mexican cuisine. Featuring the freshest fish and seafood plucked directly from the sea the Club looks out upon. Fabulous ocean views. Steps from the beach. Breakfast, brunch, lunch & dinner served, daily. Full bar. Hours: Wednesday – Monday from 8am -10pm, and Tuesday’s from 8am – 4pm. The kitchen closes either at 10pm or 4pm, respective of day. Cocktailing may go as late as one wishes. Located: Just below the Casitas and next to the Bungalows. Accessible from Private Villas Aries and Private Villa Dragon via funicular (open air mountain cable car). A five minute drive from Private Villa Nido de Amor and the Ocean Castles. Reservations: Recommended (315) 3510462- Particularly for lunch, which is generally enjoyed in the Mediterranean fashion in this area (from 2pm – 5pm) Major Credit Cards happily accepted. Dress Code: While a dip in the sea before or after your meal is encouraged, appropriate attire is required. An elegant cover-up or kaftan will do in the afternoon. In keeping with the Mediterranean spirit of Costa Careyes, people dress for dinner. Playa Rosa Beach Club is an ideal place in which to host private events. Please contact our events department at info@careyes.net for more information. Costa Careyes considers a private event 20ppl or more. 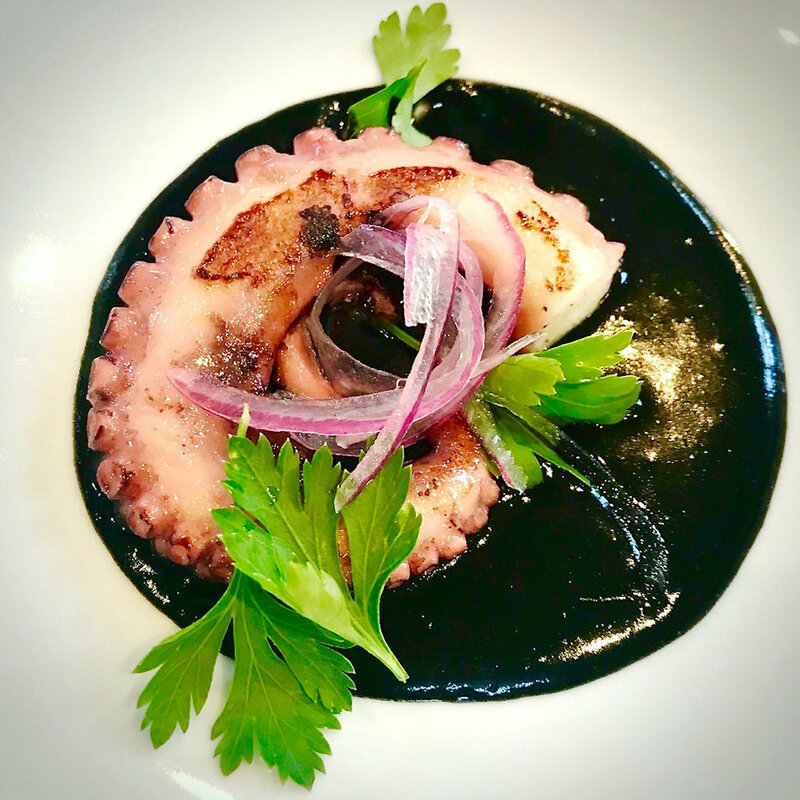 La Duna offers a singular experience serving exquisitely delicious, healthy cuisine showcasing locally-sourced products presented with simple yet refined artistic flair. Whether savoring the La Duna signature guacamole starter or enjoying the local fishermen's catch of the day as its transformed into fresh ceviche or sumptuous grilled fish, your dining experiences will be mouth-wateringly memorable. Hours: Open Daily: Breakfast from 8:00 – 12:00, Luncheon from 12:00 – 16:00 hrs., Bar operations hours per season – up to 20:30 hrs. Reservations: Recommended (315) 351 0000. Subject to availability during high season. Dress Code: Resort casual – towels available at the restaurant in case guests do arrive in swimming suit. Gastronomic, globally inspired cuisine with a dedicated focus on environmental sustainability, support for local farmers, fishermen, cultivators and unique culinary techniques/ingredients. Traditional dinner seatings with à la carte menu selections. Exclusive chef table style dinners in our open kitchen can accommodate up to 8 guests and provides a chance to be up close and personal with the action from preparation to plating. Special events at Pueblo25 can be arranged in advance to accommodate up to 24 guests. Catering menus can be provided for private in-home dining or events. Hours: The Cave, dining room and kitchen are open from Thursday - Sunday. 7:00PM - 10:00PM. Location: At Pueblo Careyes, past the Plaza de los Caballeros del Sol. Take your first left and an immediate right once you’ve passed the parking for the Plaza. You will see a bright pink facade that is home to both dining room and Cave. Dress Code: You are here to relax, we recommend using your best judgement when selecting attire to join us at Pueblo25. In addition to an elevated dining experience, It offers an extensive selection of wine curated from purveyors local and abroad in “The Cave”. Our cellar and tasting room that can accommodate private parties or simply act as a place to select bottles for purchase. Italian Steakhouse. Featuring excellent steak and roast meats, Neapolitan pizzas baked in a traditional brick oven and fresh pastas. Hours: Cocktails, Late Lunch & Dinner served Tuesday - Sunday from 3pm – 10pm. Closed on Monday’s. Full Bar. The kitchen closes at 10pm. Cocktailing may go as late as one wishes. Located: In the Plaza de los Caballeros del Sol, next to Indigo, VideoSala and across from Coscolina, the ?! Careyes Foundation and Art Careyes. The Plaza de los Caballeros del Sol is a five minute drive from the Ocean Castles, Private Villas, Casitas and Bungalows. Reservations: Recommended (315) 3512014. Major Credit Cards happily accepted. Dress Code: In keeping with the Mediterranean spirit of Costa Careyes, people dress for dinner. Punto.Como is an ideal place in which to host private events. Please contact our events department at info@careyes.net for more information. Costa Careyes considers a private event 20ppl or more. Fine multi cultural cuisine with a focus on bright, fresh Moroccan flavors. Lovely selection of freshly pressed juices and smoothies. Salads, Panini’s, Fish, Vegetarian and Vegan Entrée options. Handmade gelato and sorbet. Hours: Breakfast, brunch, lunch & dinner served Thursday – Tuesday from 8am - 11pm . Closed on Wednesdays. Full bar. 4pm-10pm. The kitchen closes at 10pm. Cocktailing may go as late as you wish. Located: In the Plaza de los Caballeros del Sol, next to the ?! Careyes Foundation and Art Careyes, across from Indigo, VideoSala. The Plaza de los Caballeros del Sol is a five minute drive from the Ocean Castles, Private Villas, Casitas and Bungalows. Reservations: Recommended (315) 3510630 Major Credit Cards happily accepted. La Coscolina is an ideal place in which to host private events. Please contact our events department at info@careyes.net for more information. Costa Careyes considers a private event 20ppl or more. Elegant Asian fusion. Excellent sushi, sashimi, cut rolls and cooked items. Live music, resident DJ and dancing. Steps from the Beach. Hours: Cocktails & Dinner served Friday & Saturday year round. Seasonally: Festive Season: December 20 – January 9, Easter / Spring Holidays: March 20 – April 2, Cocktails & Dinner served daily. Full Bar. 5pm – 10pm. Full Bar. The kitchen closes at 10pm. Cocktailing may go as late as one wishes. Major Credit Cards happily accepted. Located: off highway 200, a five minute drive from the Ocean Castles, Private Villas, Casitas and Bungalows. Reservations: Recommended (315) 3510008 Major Credit Cards happily accepted. Dress Code: In keeping with the Mediterranean nature of Costa Careyes, people dress for dinner. 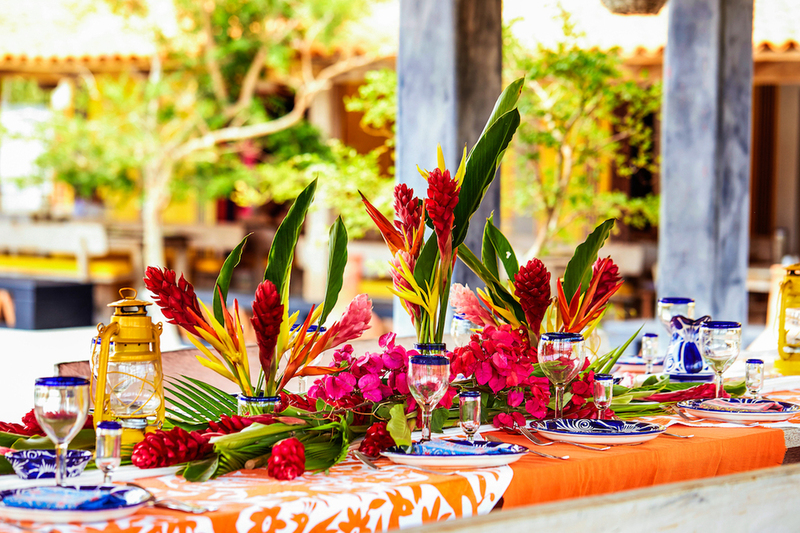 Cocodrilo Azul is an ideal place in which to host private events. Please contact our events department at info@careyes.net for more information. Costa Careyes considers a private event 20ppl or more. 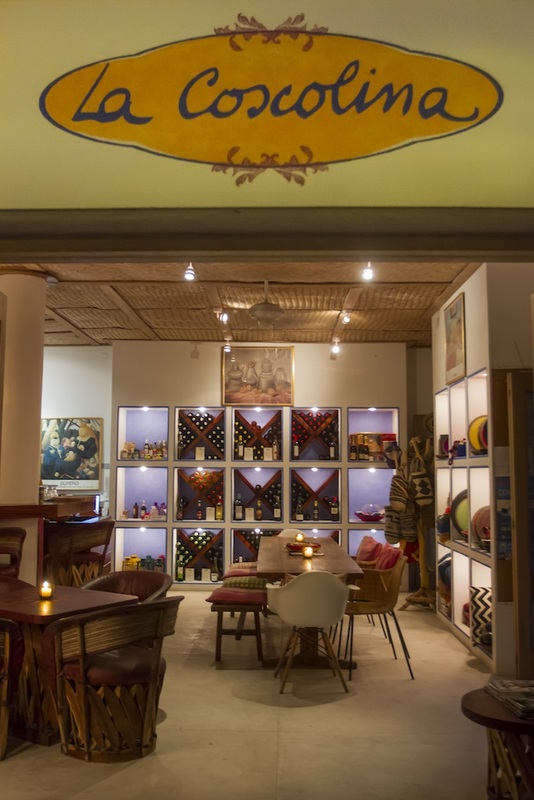 Casa de Nada is the Restaurant & Bar of Samadhi Nest. It is a rustic, artistic, and cozy space, with a striking view and surrounding that tailors to the sybaritic lifestyle of Careyes community and guests. The menu encompasses a wide variety of cuisines from Mexican to Mediterranean to Vegetarian, specifically focusing on tasty tapas. It aims to incorporate organic, fresh, healthy, homemade dishes. Hours: Open seasonally (November - April) or during special events. Dinner Tuesday - Sunday from 5:00 pm - 11:00 pm. Closed on Monday. Located: On the Teopa beach, next to Samadhi Nest, overlooking the Copa del Sol. 10 minutes driving from Plaza de los Caballeros del Sol in Careyes. Reservations: Recommended +52 1 (314) 125 1060 Major Credit Cards happily accepted. Casa de Nada is available to rent for large groups that are interested in doing private lunches, dinners, or sunset/evening parties.